Artmongers was the name by which me and friend Patricio Forrester went by for 7 years until 2010. During this period my painting practice shifted towards digital drawing and photoshop. It reached a public audience in London. Top: Photo mural at Royal Free Hospital turning medical equipment into cartoon characters. 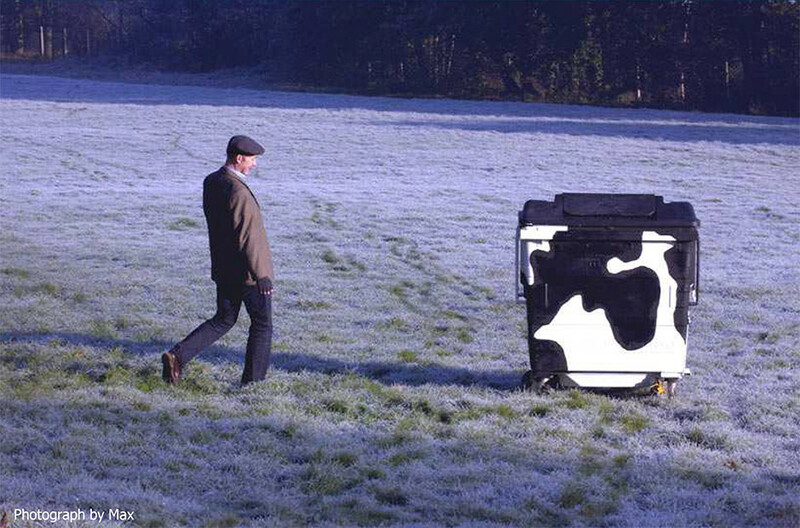 Above: With a cowbin used in the photoshoot for the recycling centre shown adjacent. 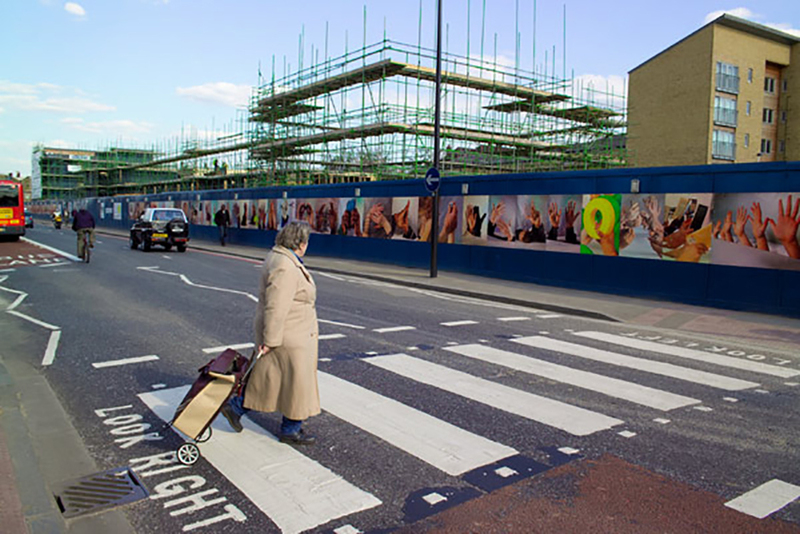 Hands Hoarding (2005) was Artmongers’ first big project. 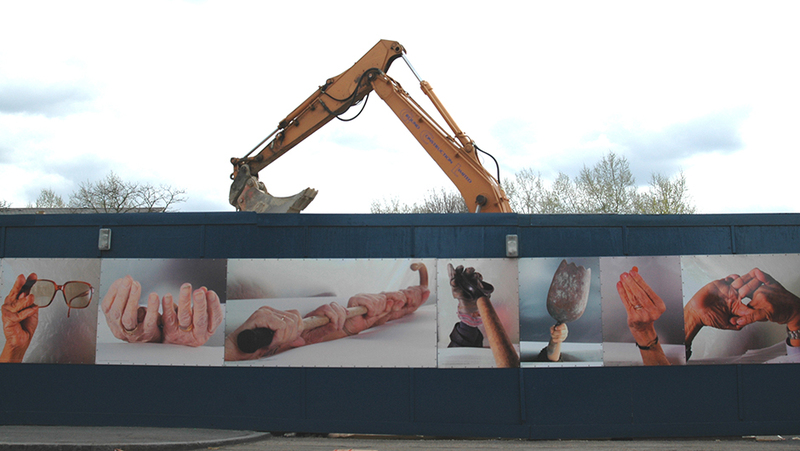 A long 160m portrait of New Cross depicting people’s hands and what they did with them. In the beginning was a scroll, a canvas scroll model, which we had used to lobby local community groups by dramatically unrolling it to share our vision. We had enjoyed photographing people’s hands because they were like portraits. 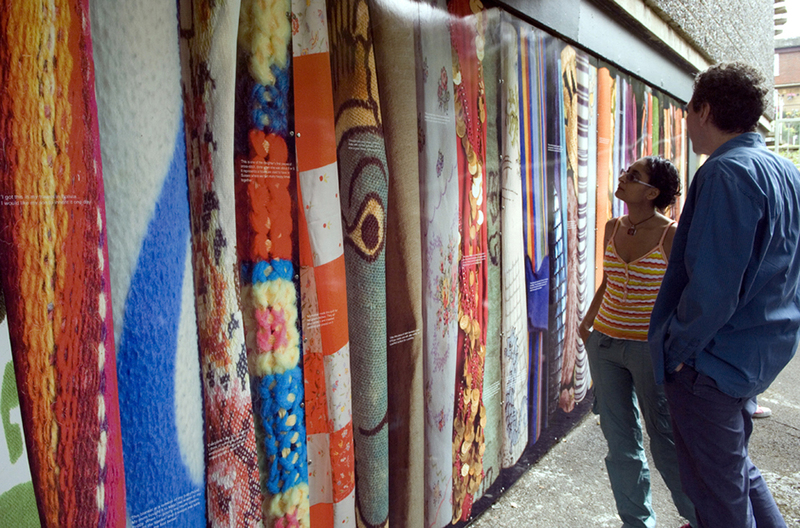 This newer commission, Fabric of Society (2007), was another type of portraiture where we photographed fabrics belonging to people and wrote about their emotional attachment. This artwork surrounds a building. 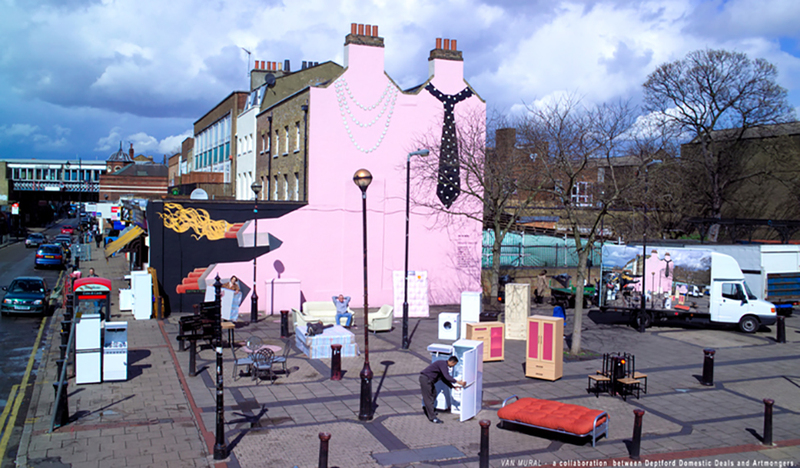 Van Mural (2006) is hard to describe, but is basically our first mural, His’n’Hers (2002), photographed and installed on a furniture removal truck. 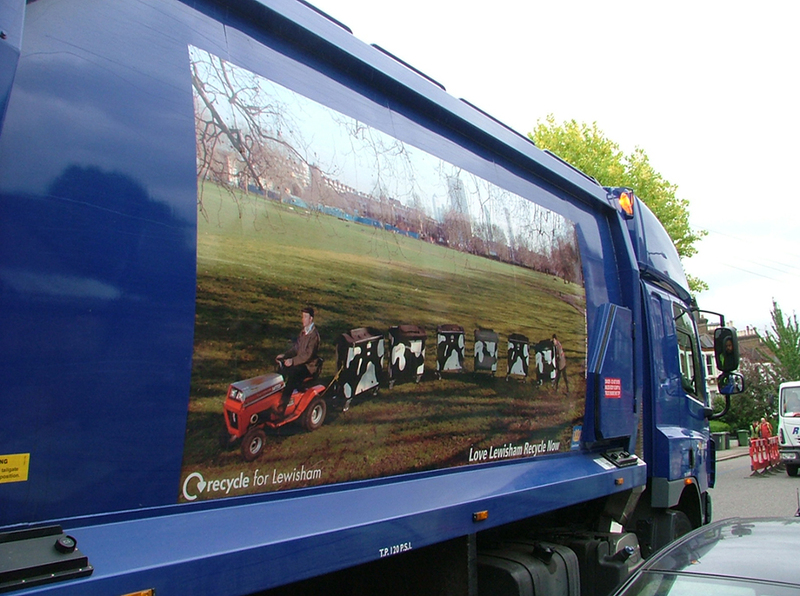 This truck was always parked by His’n’Hers and we had wanted it to be a mobile version of the mural itself. As a final touch we pre-empted reality, using photoshop trickery, to place a mocked up truck mural inside the real truck mural! 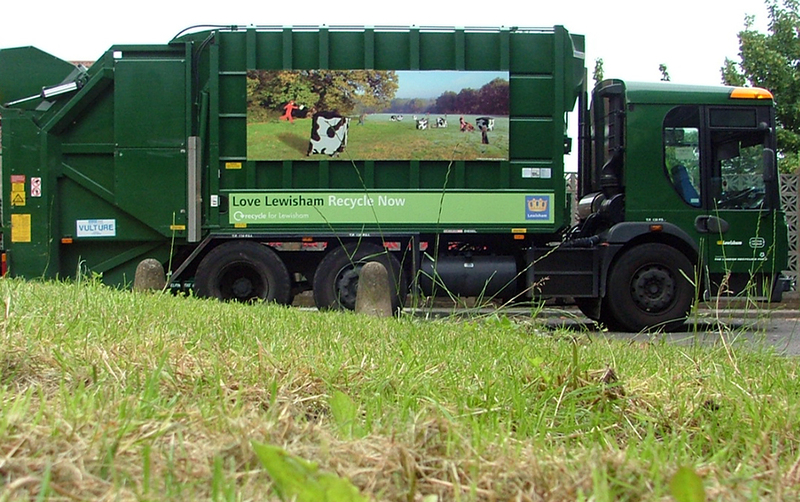 We made artwork for all Lewisham’s recycling trucks. Another Deptford trader had lent us his tractor used for towing market stalls. This is me driving it as part of the Cowbin Train artwork. 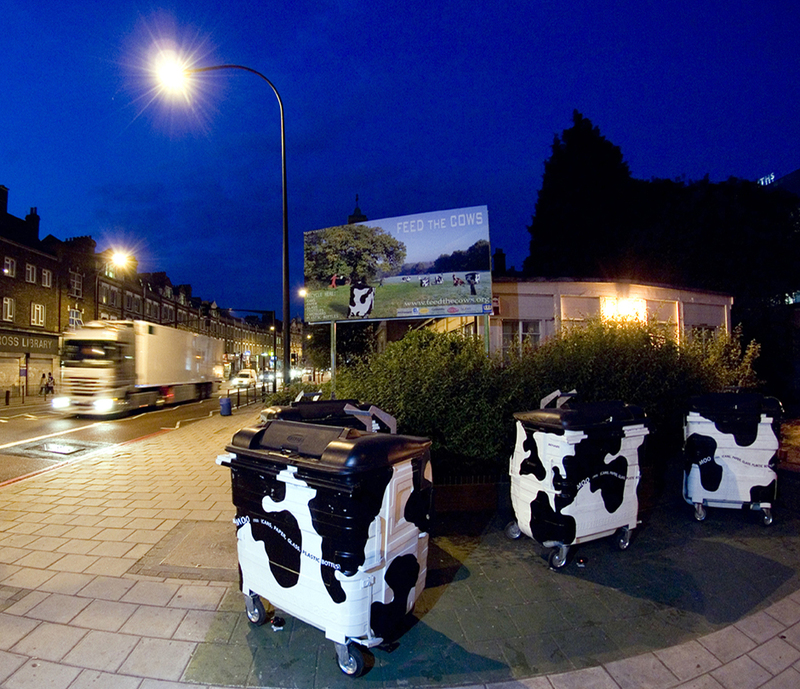 We recycled our cowbin concept, see top, on these newer artworks. We covered the entire fleet of trucks and many still survive today, 8 years later. 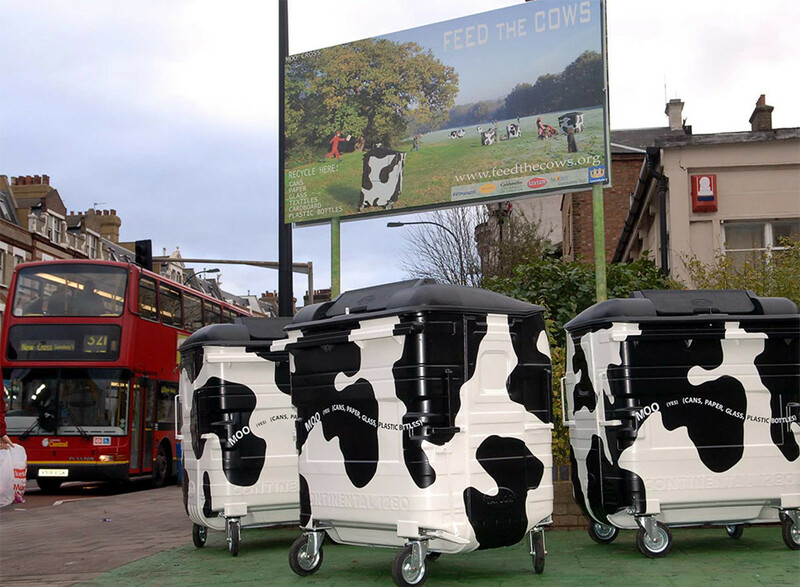 Two more images of Cowbins and Hands Hoarding.